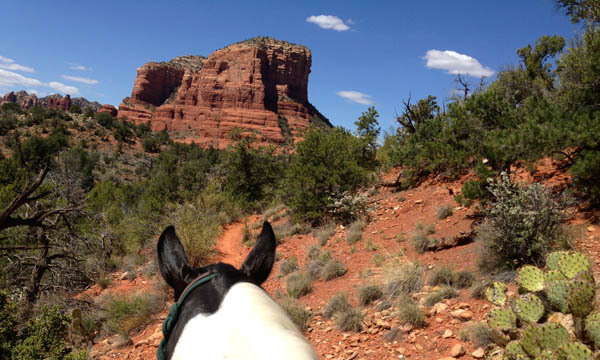 Hunter and Cimaron room with a view. 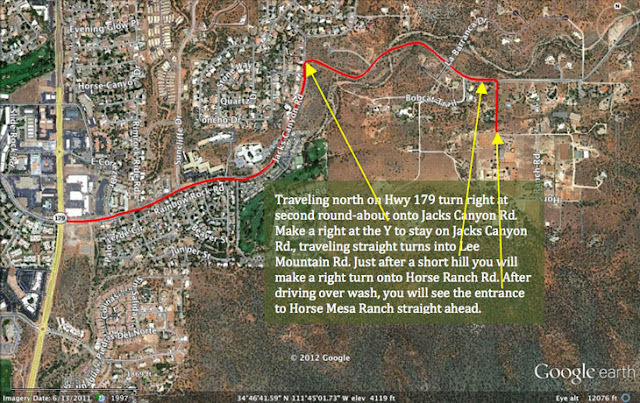 You do have to know your way through the trails in the highend subdivision that get you into the red rocks. 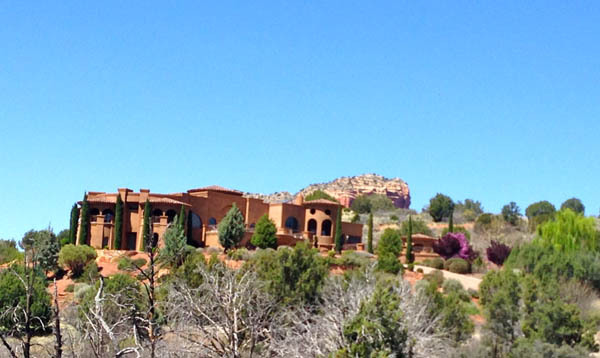 This home was just huge right at the base of the red rocks ,one of the trails pass by it. 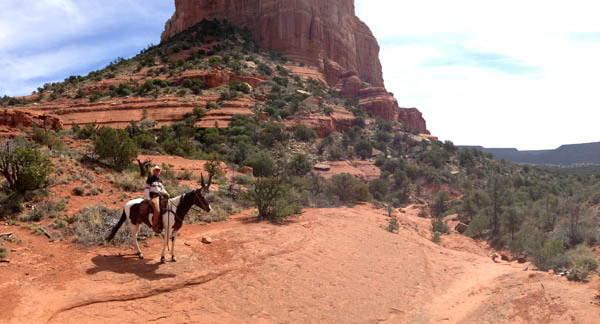 One the trail to Bell Rock. 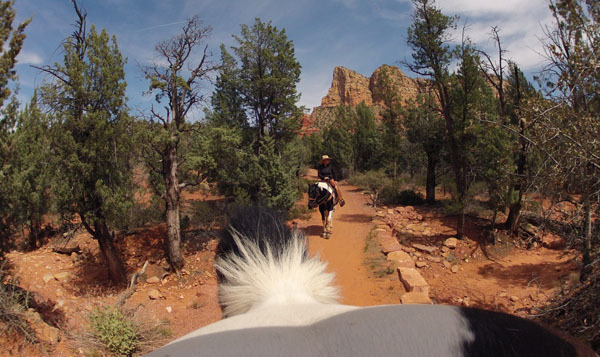 The view through your horses ears doesn't get much better then this. 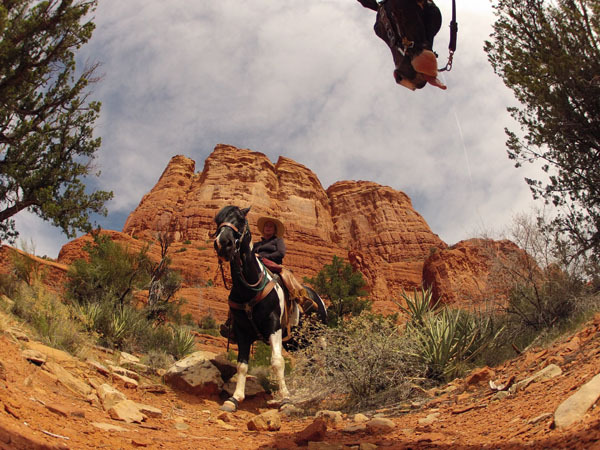 Ron rides up for a picture moment (above) while a young child named Alex meets Hunter our stallion (below). 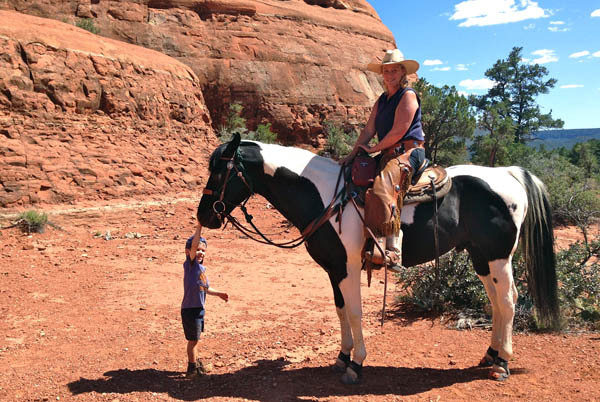 Hunter just loves small children this is just so cute. 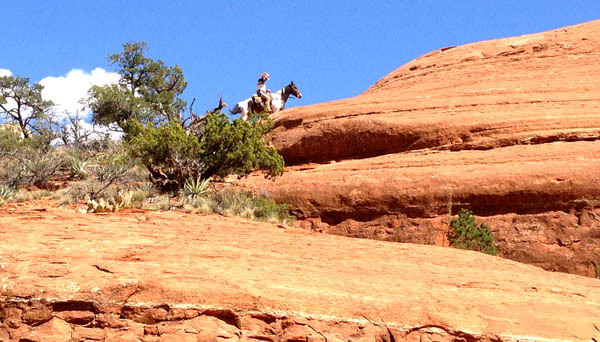 We gave Alex a little ride on Hunter too. 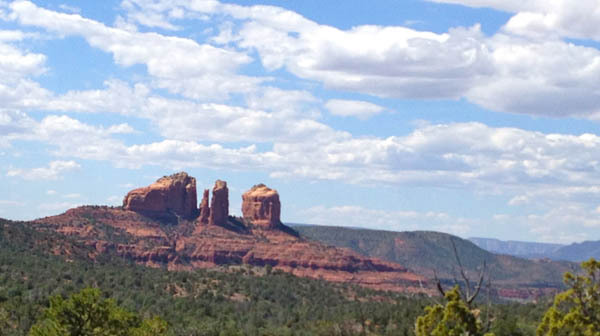 Bell Rock you can view from where we are staying it over looks the whole village. Our second day of riding we headed out on a different trail through the subdivision. 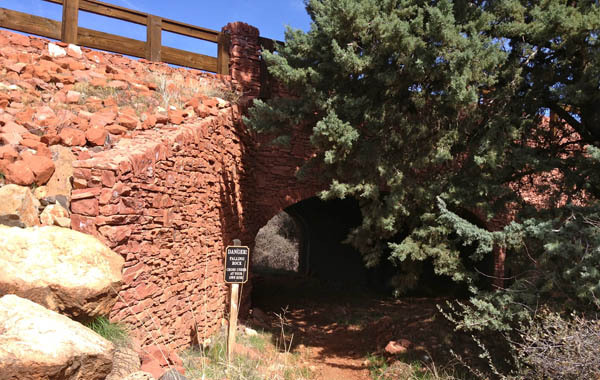 The trail goes under a cute red rock bridge. The images posted here is just amusing to provide a historical experience in your life. 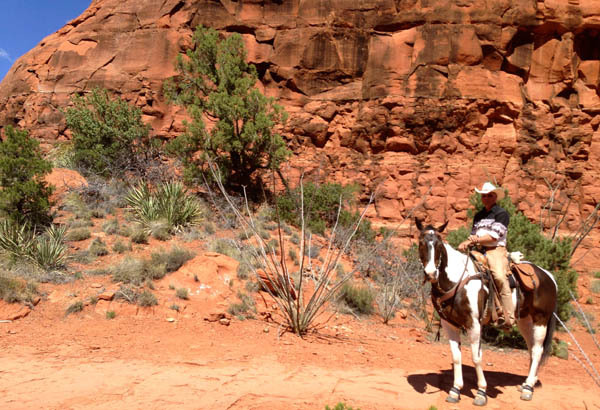 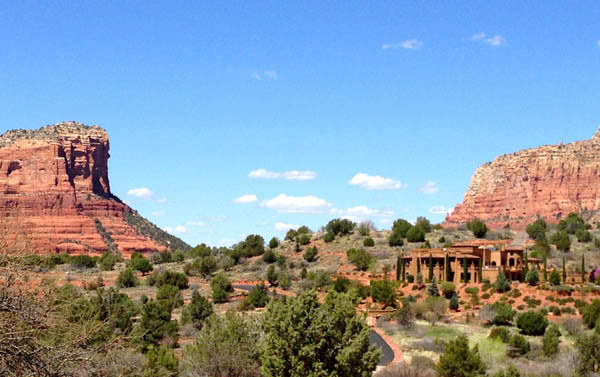 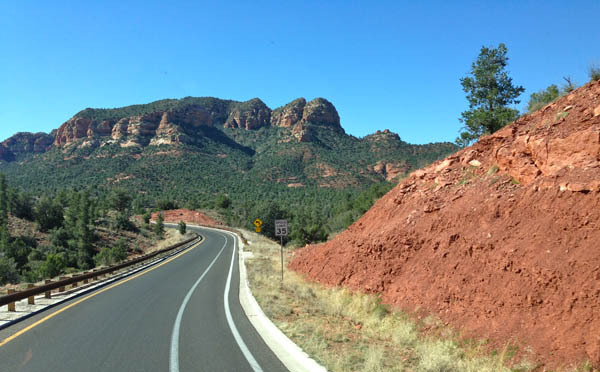 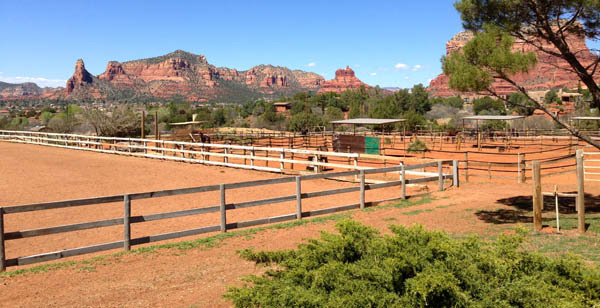 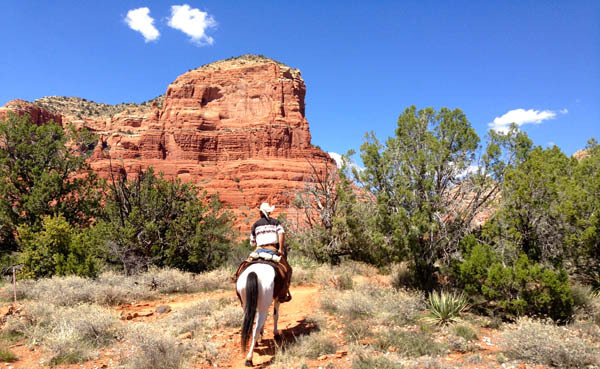 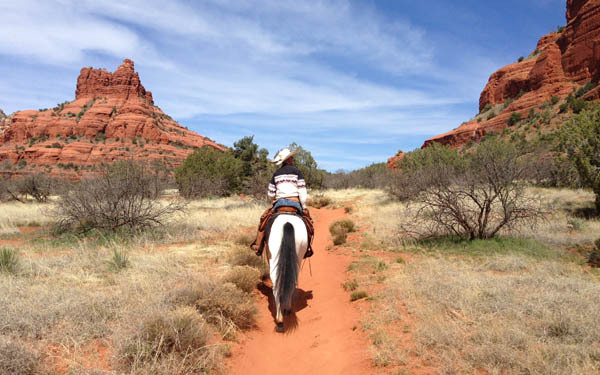 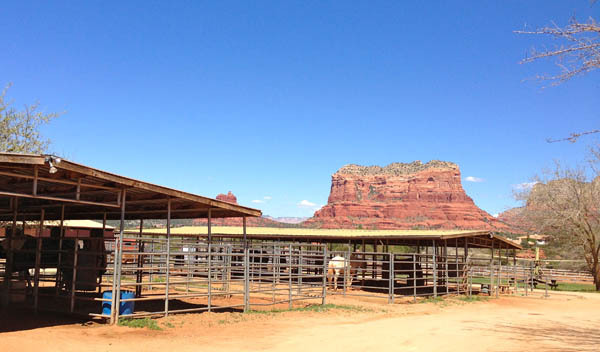 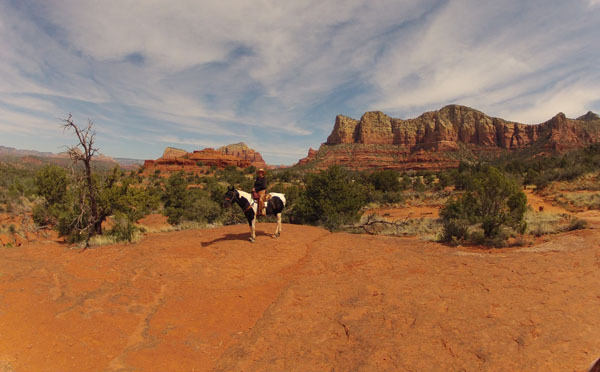 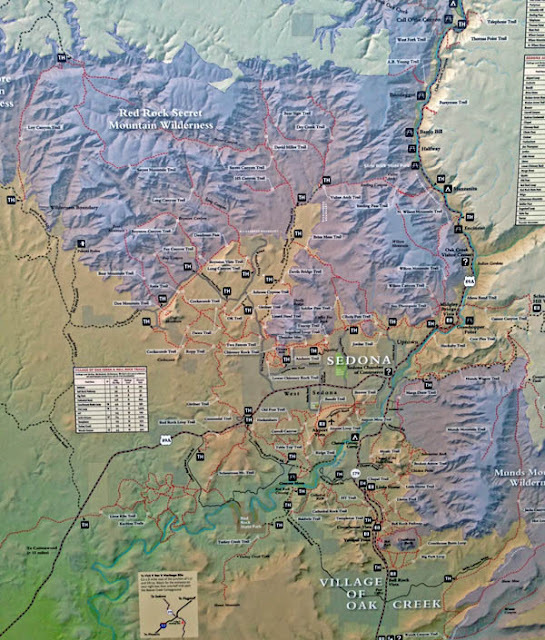 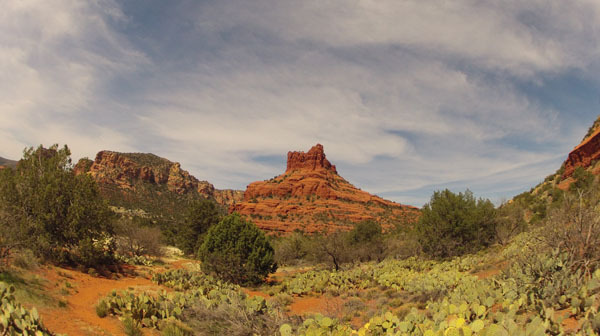 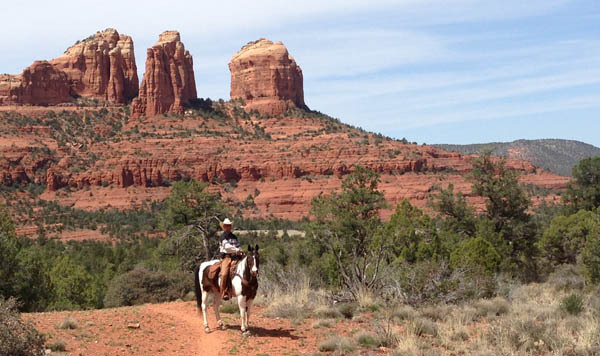 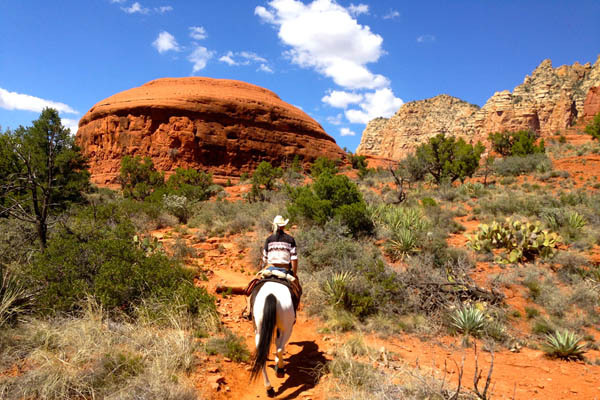 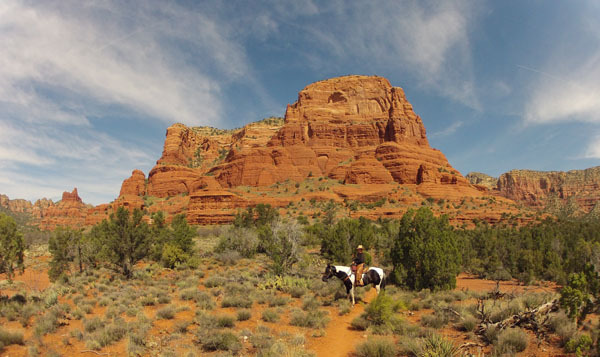 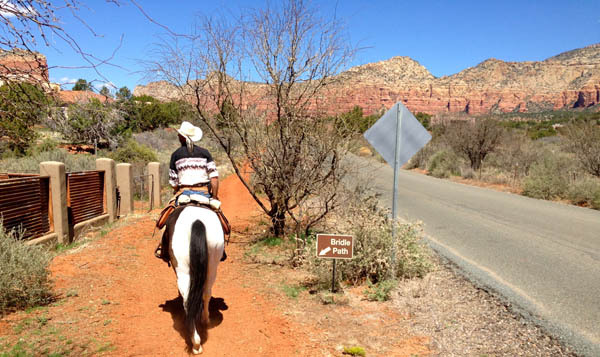 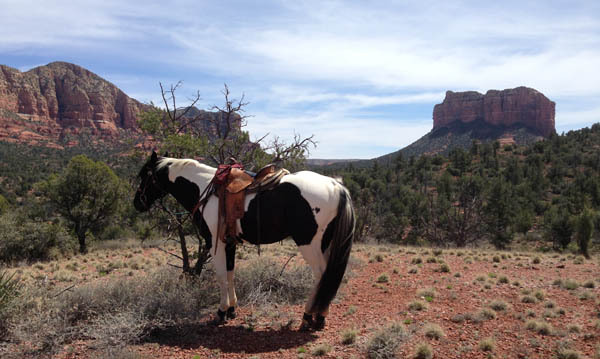 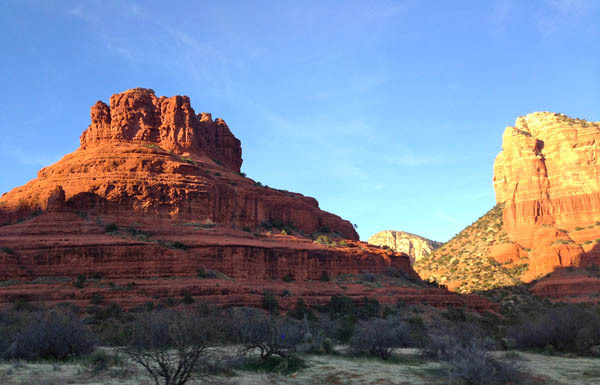 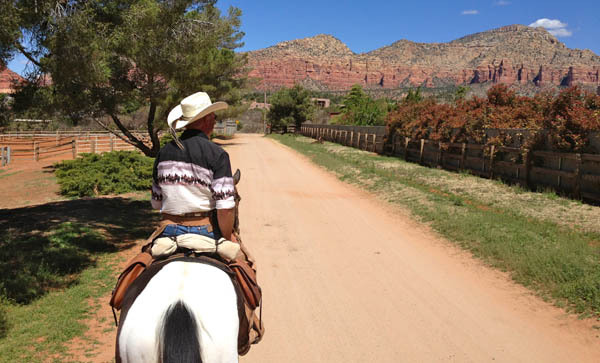 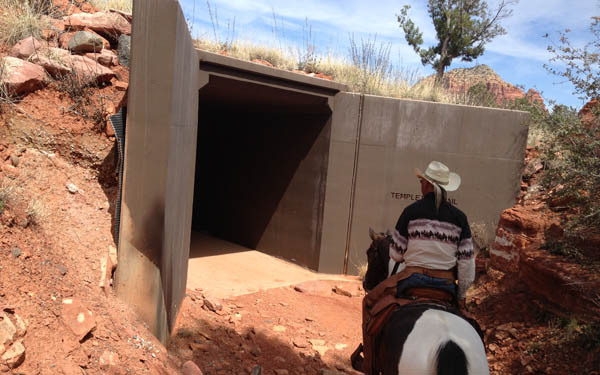 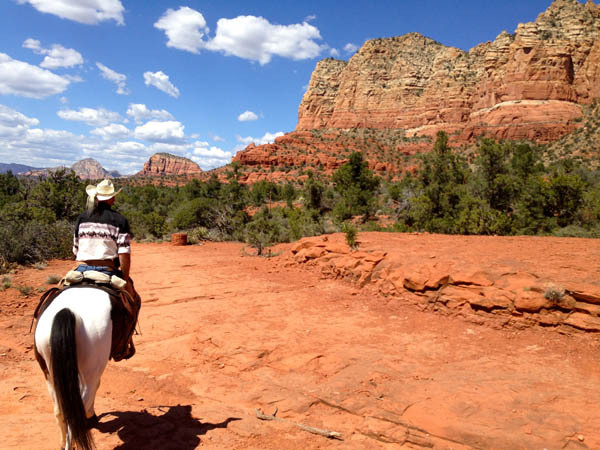 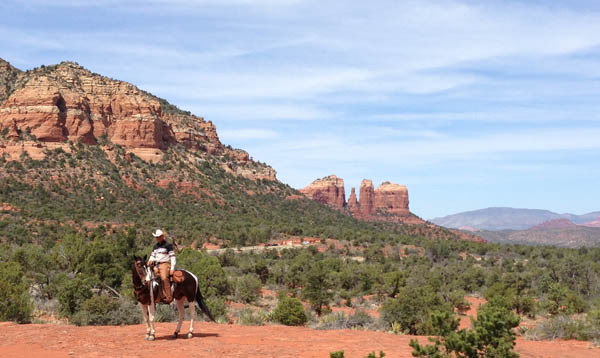 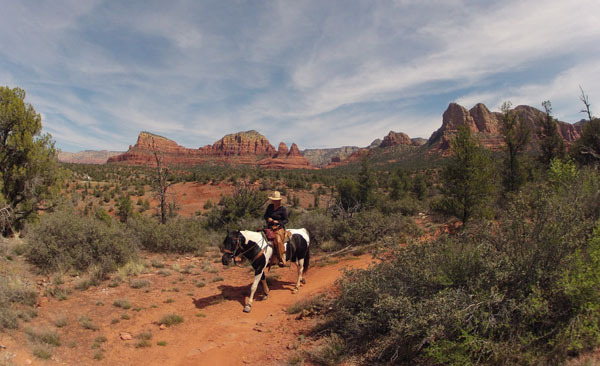 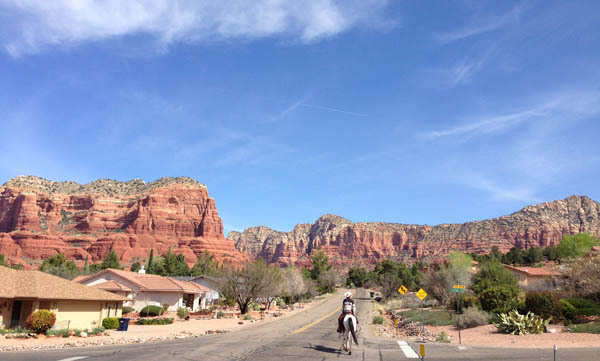 Question: where did you camp in Sedona when the horses were at Horse Mesa Ranch? 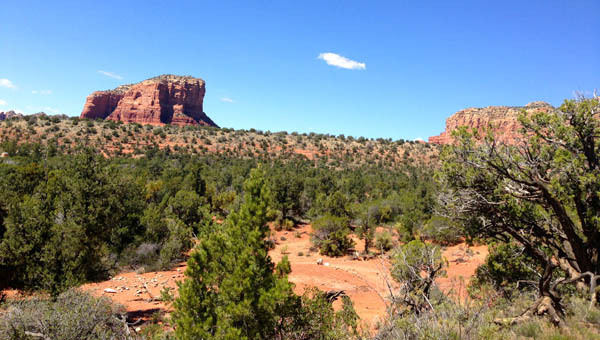 This place is full with natural beauty and love to spend some enormous time here.